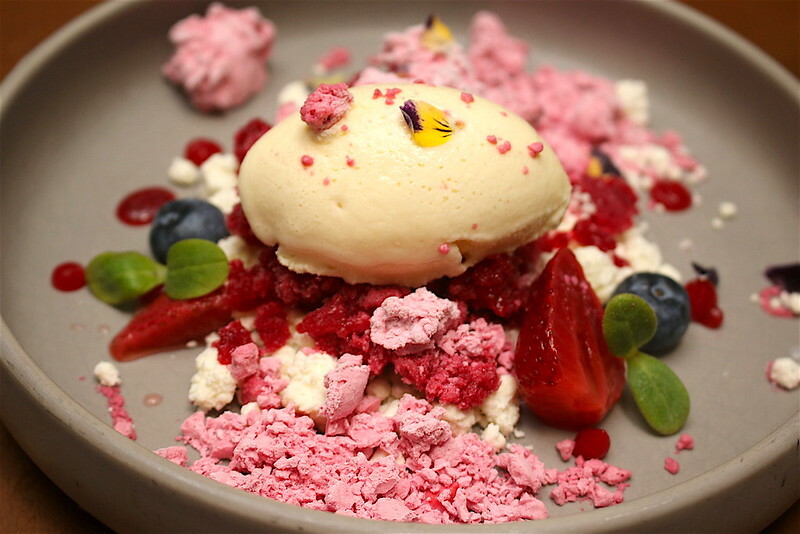 Berries and Chocolate (S$16) is a garden-like beauty featuring ice cream made from Callebaut white chocolate from Belgium; cassis granita; frozen cassis foam; white chocolate and succulent berries. 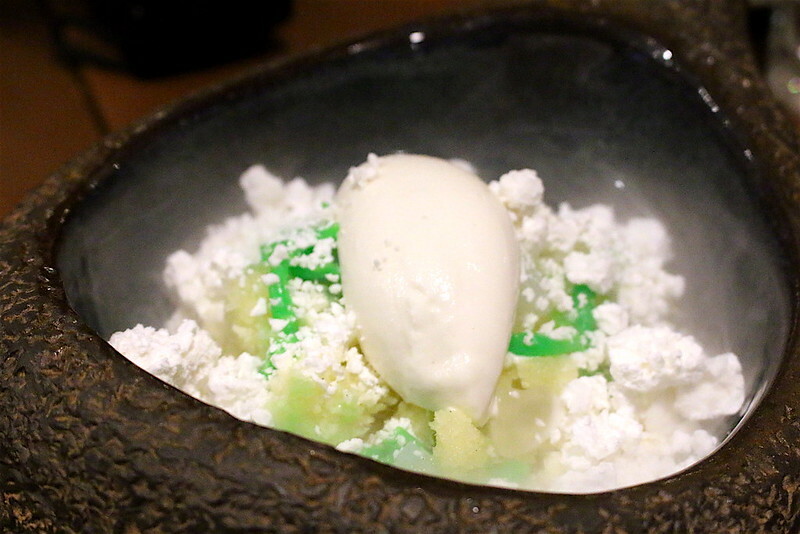 Pineapple and Coconut Ice Kachang (S$14) combines pineapple granita, coconut ice cream and foam with nata de coco, attap seeds and chendol noodles. It comes mysteriously misty as the frozen elements sublimate. Warm Banana Bread & Friends (S$14) is probably my favourite dessert of the lot. 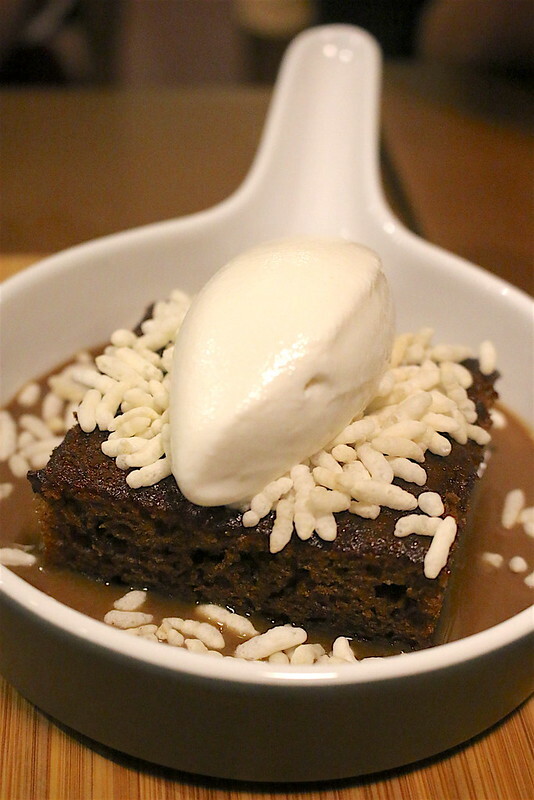 Soaking in a pool of brandy butter scotch, the warm banana bread is topped with coconut ice cream and littered with crispy rice puffs. 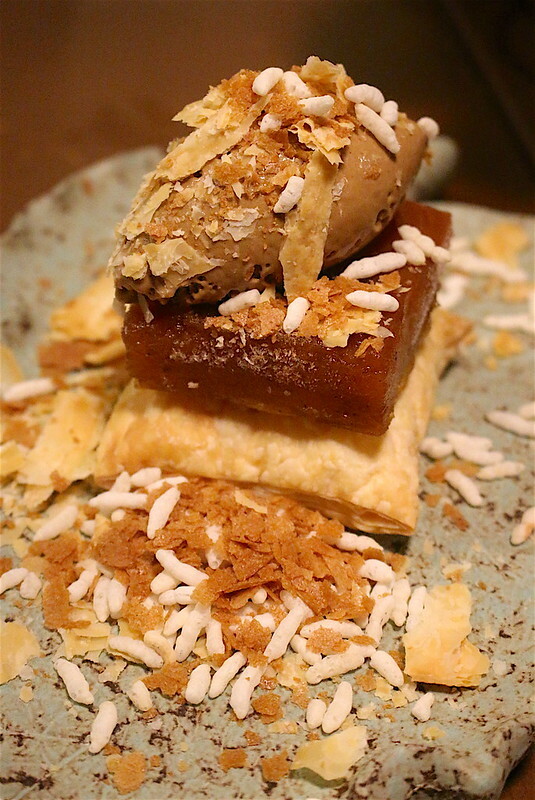 Textures, temperatures and heady aromas all lend wonderful contrast to this sweet treat. The only one that didn't impress me as much is this Apple Tarte Tatin (S$14). It's got interesting parts like burnt ice cream (a happy accident when the base got burned), but overall, it was just too dry. However, apple and cinnamon lovers might like this. 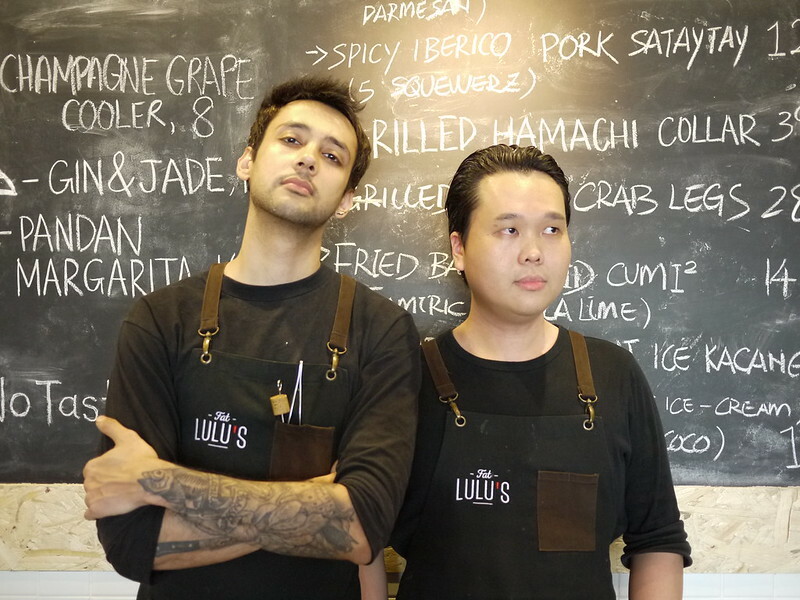 I know many of you love dessert, so you'll definitely be happy at Fat Lulu's because they believe every meal should include it. What I'd come back for though are the incredible BBQ mains. Did they say BURNED? Did they say SPICY? I love char and #SpicyIsNaise indeed. 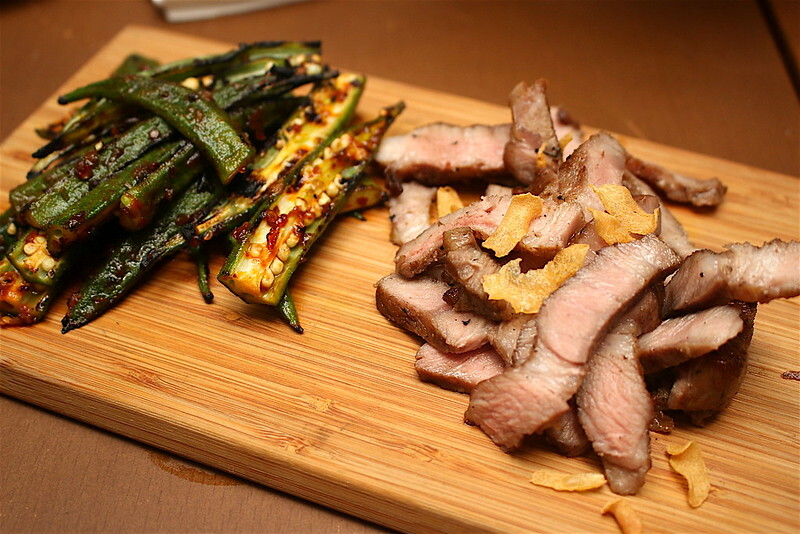 Duh Meat Board (S$28) is a steal for so much well-grilled goodness. 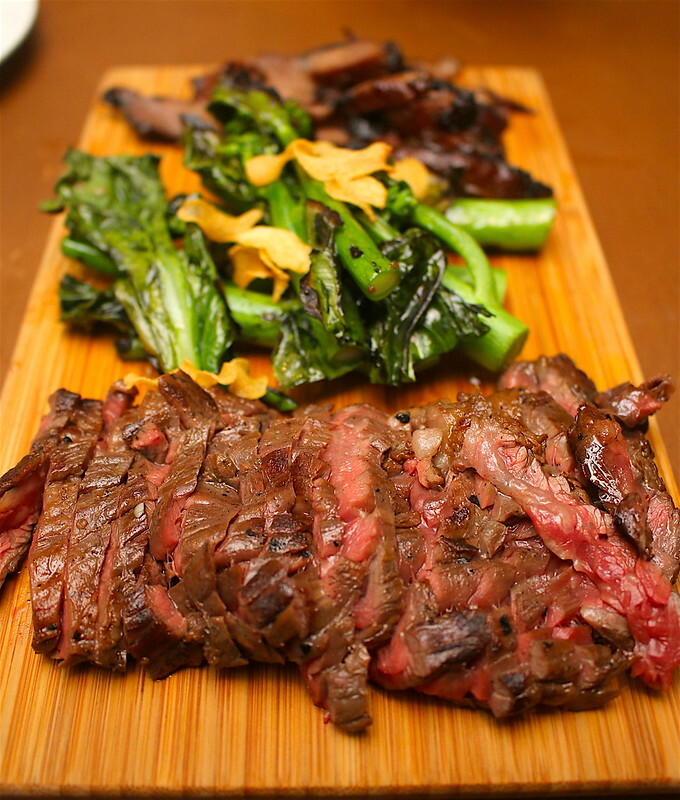 Wagyu inside skirt steak is cooked in fish sauce and dehydrated on top of the grill. Kailan is flash seared on high heat and topped with garlic chips. And then you have Iberico pork pre-trimmings, marinated in sambal before grilling. The steak tastes quite unusual because of the fish sauce, but I can't help but wonder if something like ponzu would be a better choice because the acidity will temper the saltiness. 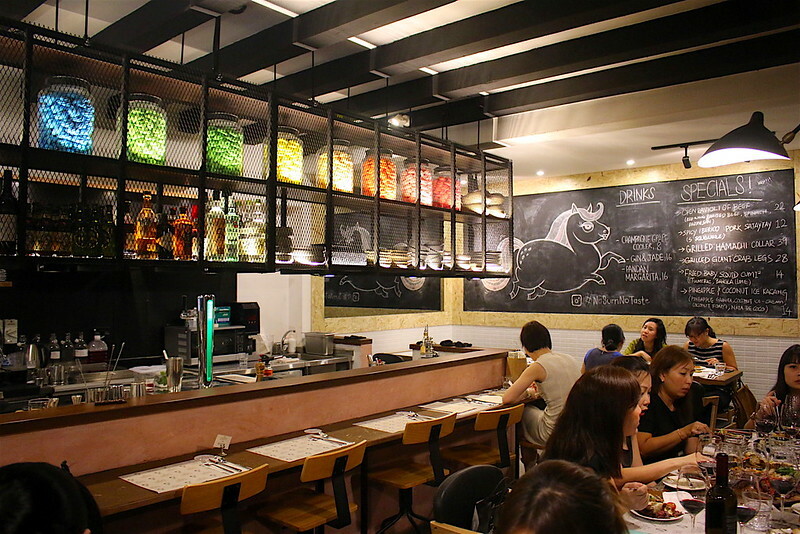 Ikan Bakar (S$28) is also a testament to Sam's grilling skills. 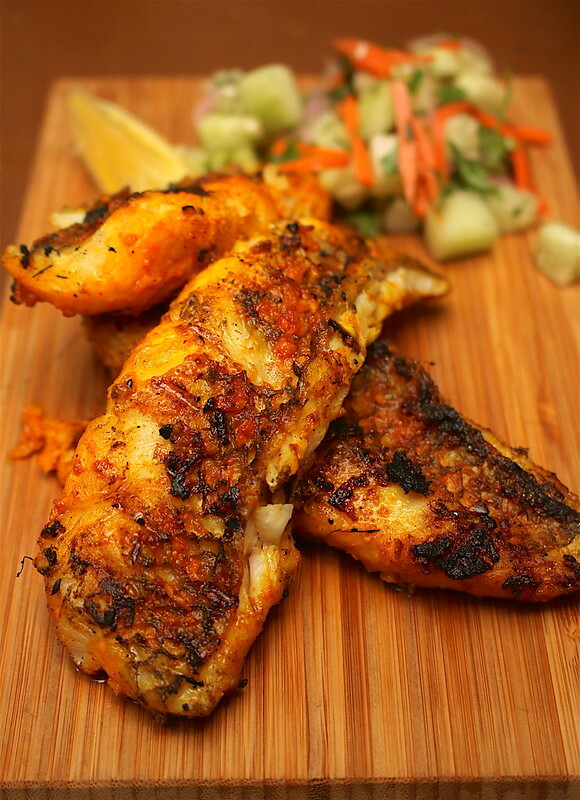 Line-caught parrotfish is marinated in chili oil, garlic, ginger, Kashmiri chili powder and turmeric before being seared perfectly. You also get a refreshing cucumber-carrot-coriander achar with "Kiss of Nicki Minaj" (spicy chaat masala). This was so good, I temporarily forgot how cute parrotfish are (you see them all the time when diving). Never knew they are so tasty too! Grilled Mangalica Pork Collar (S$24) is all about a good piece of meat seasoned simply with salt before grilling. The Mangalica or Mangalitza pig is widely considered the Kobe beef of pork, with a buttery smooth tenderness to the meat. Now the side dish of spicy grilled okra is a star all its own too, with the sambal elevating the flavours, and the high heat removing any slimy texture. 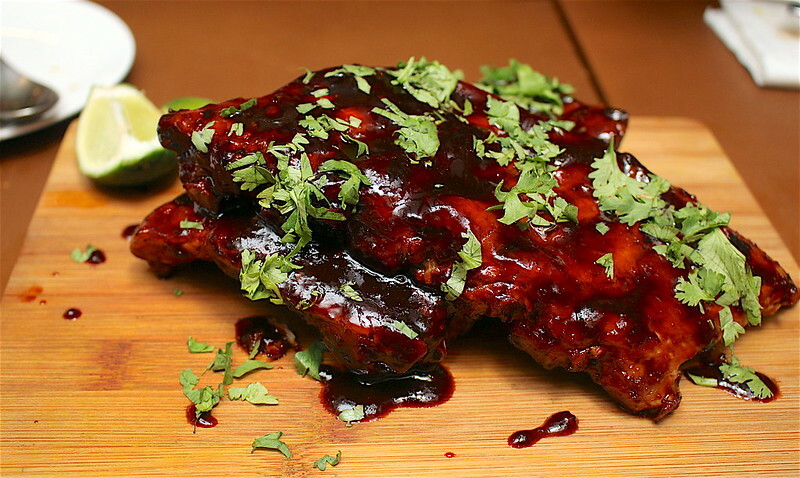 Spicy BBQ Full Rack Pork Ribs (S$28) - these babies have been sous vide cooked for 10-11 hours in chicken stock and then fired. Then they are dressed in a homemade sauce featuring the genius combination of chipotle with kicap manis (sweet dark soy). Rice wine vinegar, coriander and burnt lime round up the Asian influences in the sauce. 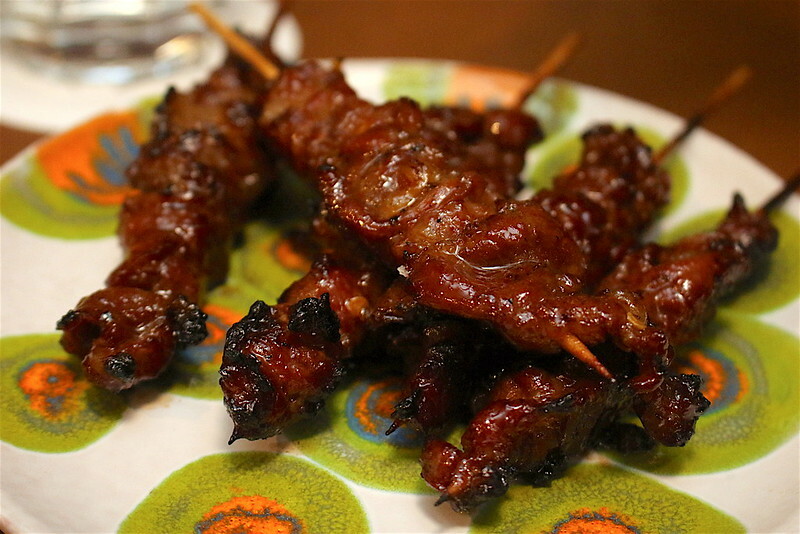 The Sataytay (S$12) is Iberico pork collar marinated one full day in sambal spiked with kicap manis and kosher salt. The well-grilled thick chunks are positively droolsome and delicious. Name is cute nod to Taylor Swift, of course. 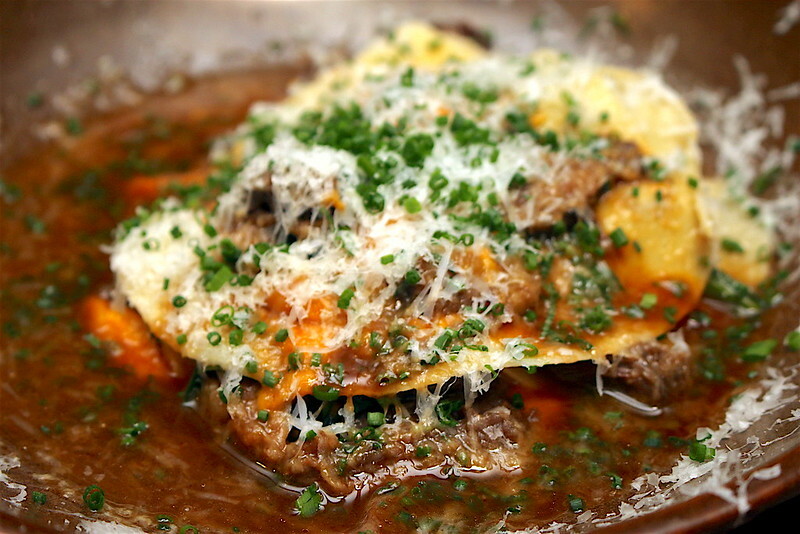 I wasn't expecting to like the Open Ravioli of Beef (S$22) too much, but the red wine braised beef and delicate pasta blew me away. It's enhanced with spinach, carrot puree and parmesan cheese. Apparently this dish takes four days to make from scratch! It's not all meat here; they have some stunning vegetables too, equally subjected to the same fiery grill. Burnt Corn (S$11) oh so gloriously burnt! Sweetcorn rubbed with lemon and salt, sprinkled with oregano and smoked sour cream. 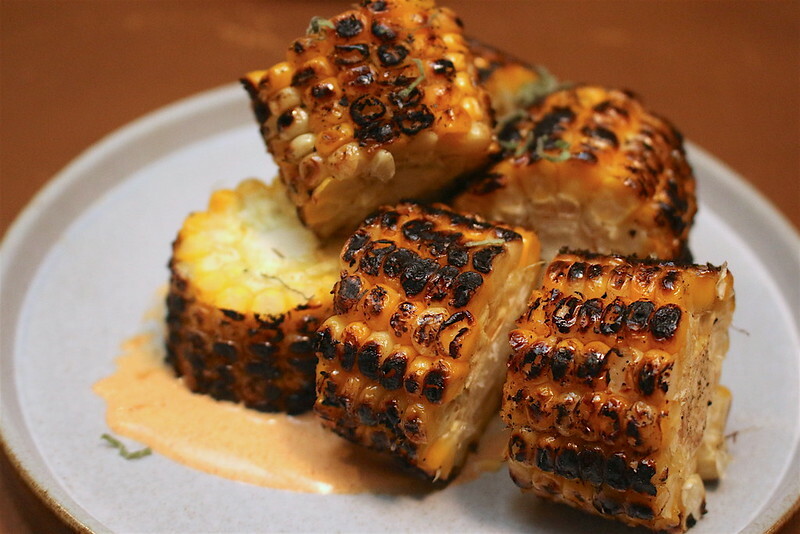 I love corn and I love charred stuff. So this is utterly scrumptious for me; it's so good it doesn't need the paprika spiked cream. 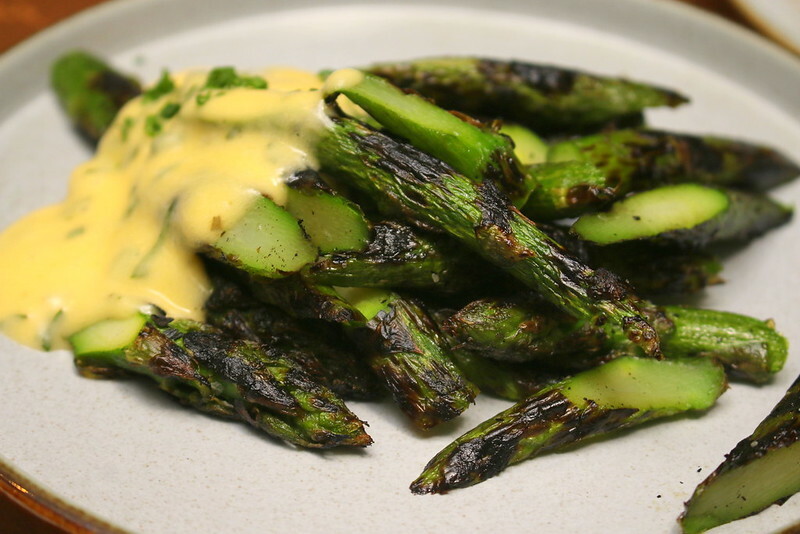 Burnt Asparagus (S$14) is also nicely charred and sliced for easy eating. It's dressed in a housemade bernaise sauce. Good to snack on and like most dishes here, it's good for sharing. Roasted Potatoes and Mushrooms (S$12) made divine with lamb fat. The potatoes are poached in lamb fat and pan seared. It's not too gamey, so even if you aren't fond of lamb, you can try this. 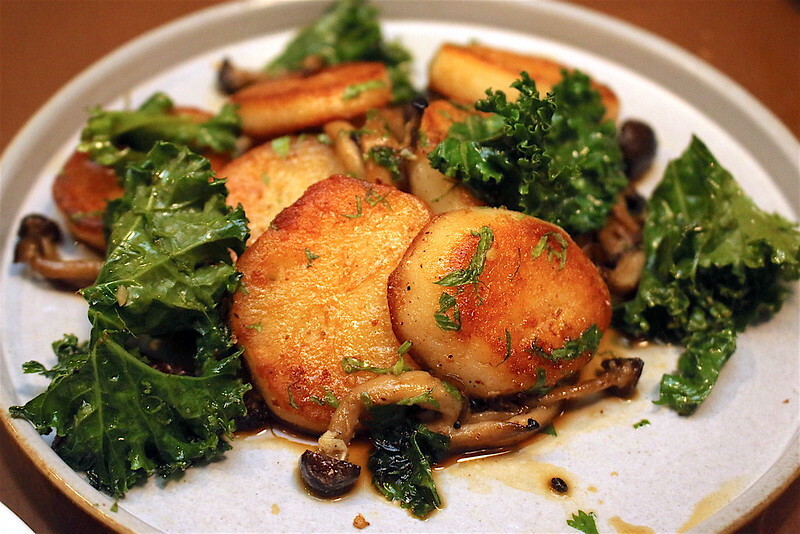 The roasted shimeji mushrooms, kale, rosemary, parsley and garlic also get doused in lamb jus. Fat Lulu's seats 38 people and has a beautiful bar counter. Check out the specials on the board too!